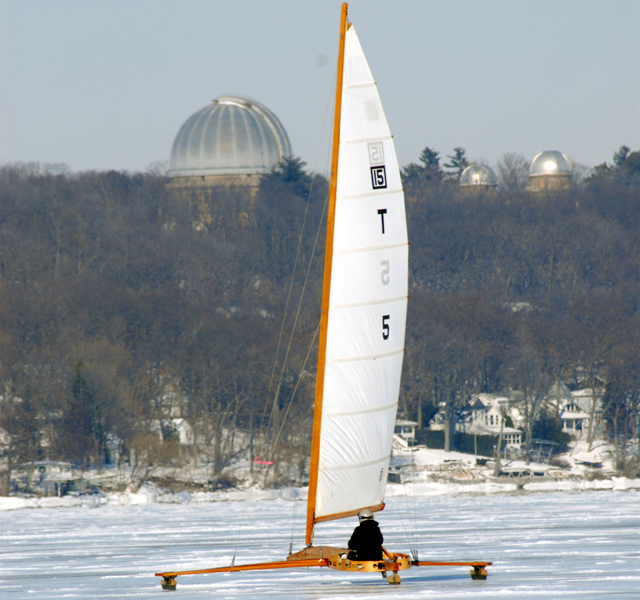 Published Jan. 23, 2018 at 9:01 a.m.
Before last year, Lake Geneva for me seemed like a perfect summer getaway. It's close, there are good restaurants, the beautiful lake, a great beach, boat rides and everything else that goes with a clean inland lake primed for water fun. Then I saw it in the dead of winter. One January day, I ran along the lake near Big Foot Beach State Park and, swaddled in ice, the lake was stunningly beautiful. And far from deserted, Lake Geneva was full of ice fishermen, ice boaters, ice coasters and skaters (all fun activities you can try, along with skiing, snowshoeing and sledding, of course). Though it's not my favorite season, I decided to give winter another look, this time on the shores of Lake Geneva. What we did can serve as an itinerary for a weekend getaway to Lake Geneva. 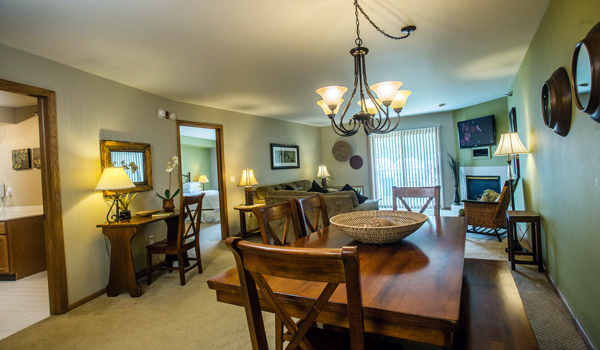 This condo suites hotel just across the street from the lake was the perfect location for a frigid weekend because nearly everything was just a quick walk from the front door. And, thanks to a great indoor pool – with a whirlpool that affords parents a great view of the kids playing in the main pool – a game room, Sprecher's restaurant in the lobby, an espresso bar and a fitness room, there were plenty of times we decided not even to venture out into the 10-degree chill. Our room was a lofted two-bedroom suite with a full kitchen, two baths and a balcony that surely is lovely in summertime. But this time of year, we got more use out of the cozy gas fireplace in the living room. You don't have to worry about falling through the ice at the outdoor skating rink at The Ridge Hotel (formerly Geneva Ridge). This rink also has a nice warming fire pit blazing nearby and there are some heat lamps, too, if you need a break from the cold. You know who really doesn't care about the cold? 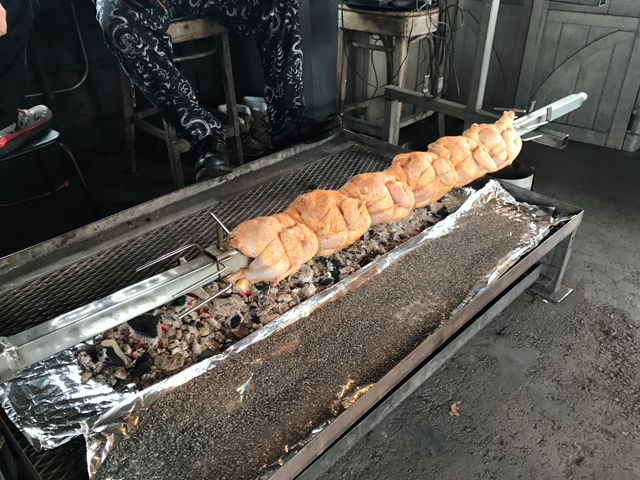 The guys working the outdoor roasting pit where Popeye's (not the chain) does its juicy rotisserie chicken every month of the year. 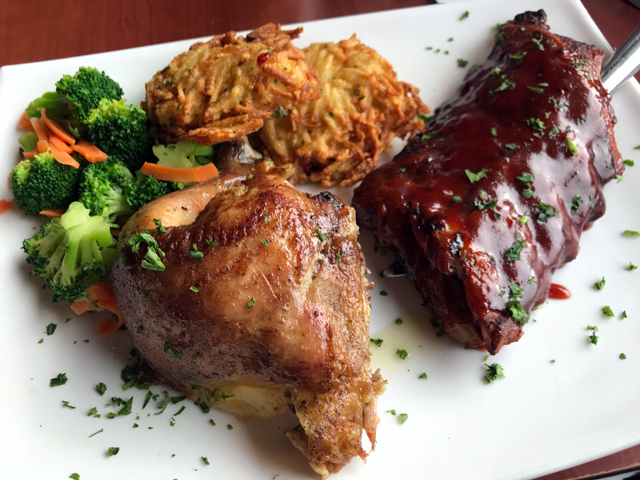 The lively, sprawling restaurant and bar has been a Geneva go-to since 1972, serving hearty apps like the buttery-rich shrimp and brie, and fried cheese curds, as well as big burgers, tangy barbecued ribs and that great chicken cooked right outside. The window-side tables offer views out over the lake. Set up much like The Streets of Old Milwaukee at the Milwaukee Public Museum, the Geneva Lake Museum occupies a former power plant along the town's old mill creek, which initially powered a flour mill and, later, ran the energy-producing turbines. There's a recreated Potawatomi village, dairy farm, post office, fire station, home and much more. Plus, there's a military room and tons of items from Lake Geneva's past, including a stunning room of intricate carved wood motifs from the Ceylon pavilion from the 1892 World's Fair that was later moved to Lake Geneva and expanded, before being torn down a few decades later. 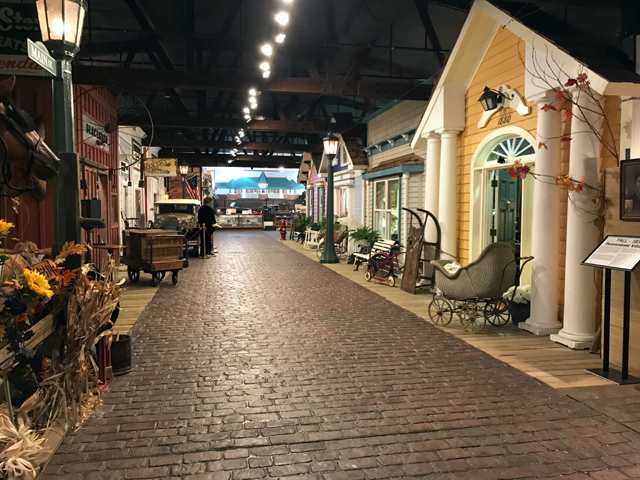 Best of all, visitors are encouraged to touch many of the objects, allowing little ones the chance to experience, hands-on, vintage items they'll likely never otherwise encounter. 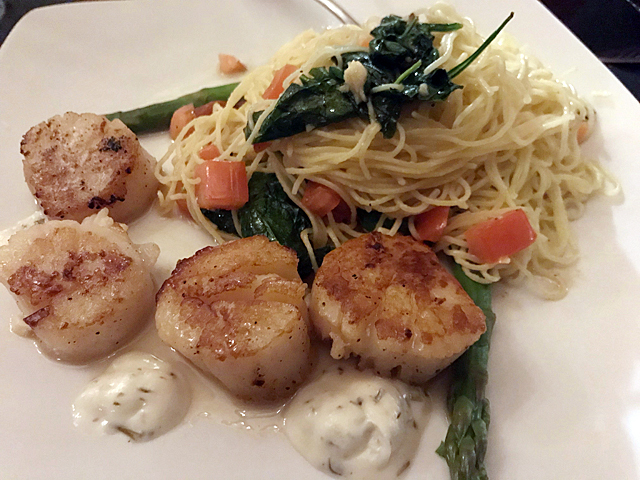 Stepping inside on a cold night, one is thankful to find the fireplace blazing in the entry at Tuscan Tavern, which had started life nearly as decade ago as Ryan Braun's Tavern and now serves Italian fare, including nice crispy on the outside, soft on the inside pan-fried gnocchi. Even my greens-averse kids devoured the Caesar salad here and the calamari was perfectly fried: crispy but without a hint of greasiness. A friendly, doting staff made the night an especially good one. 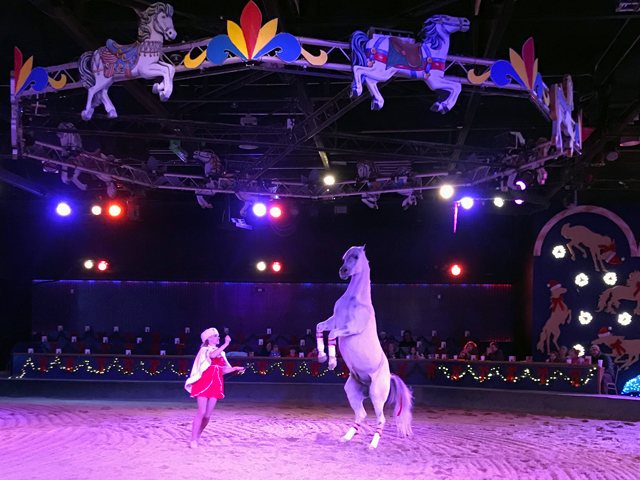 We'd seen the Dancing Horses show before, but when the kids were much younger, but I was right in thinking that they'd appreciate it much more now. From the elaborate costumes worn by the riders, to the absolutely gorgeous horses prancing and rearing, we all gobbled it up. Afterward, we visited the bird show in an adjacent building – which we'd skipped last time – and were further wowed by seven parrots and their quirky and fun talents. We'd go back again sometime and likely will. 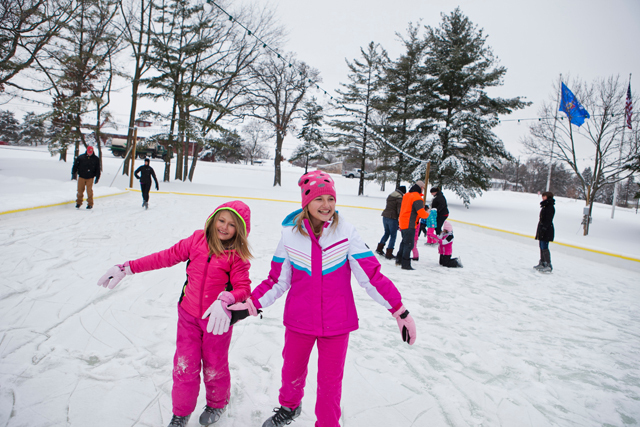 The best time in winter to visit Lake Geneva is during the annual Winterfest, when the packed itinerary of fun also includes the U.S. 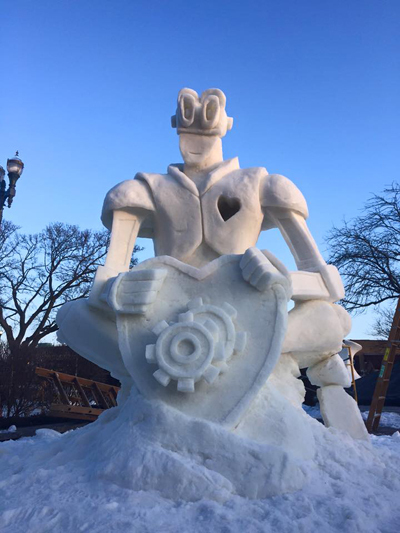 Snow Sculpting Championships, details of which can be found here. For everything you need to know about visiting Lake Geneva, check out Visit Lake Geneva's website.